Learn to design, plant and sustain your own garden-in-a-jar. WHAT'S IT ALL ABOUT? You will be guided through the different how-to-steps so you can head home with your very own self-sustaining, verdant wonderland. Give the gift of green or keep your terrarium to yourself... they make the perfect roommate and add personality to any hot desk. WHAT'S INCLUDED? We will cover everything from construction to caring for your masterpiece. 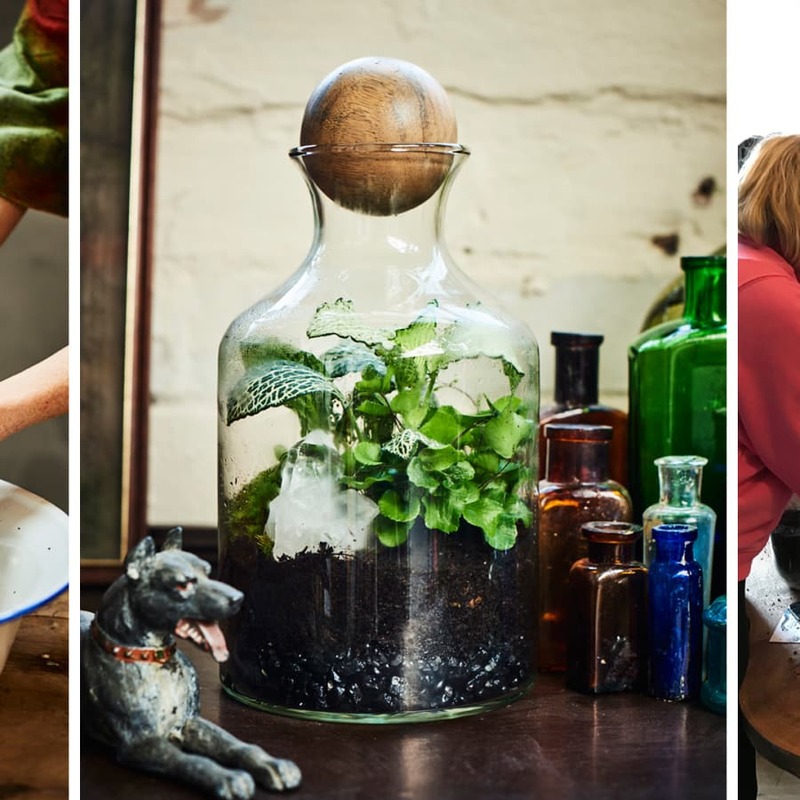 As well as being given all the materials and plants you need to create your own terrarium, you’ll learn how to make the tools to work with difficult bottle shapes and how to choose plants which thrive in their own bio. 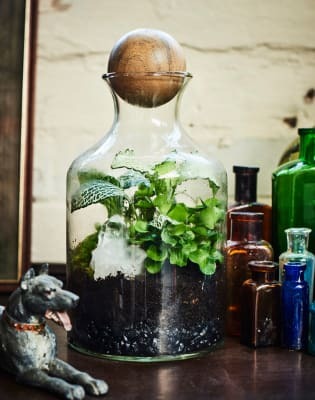 Terrariums date back to the 1800s and were discovered just around the corner from where our Shoreditch class is held on Brick Lane. 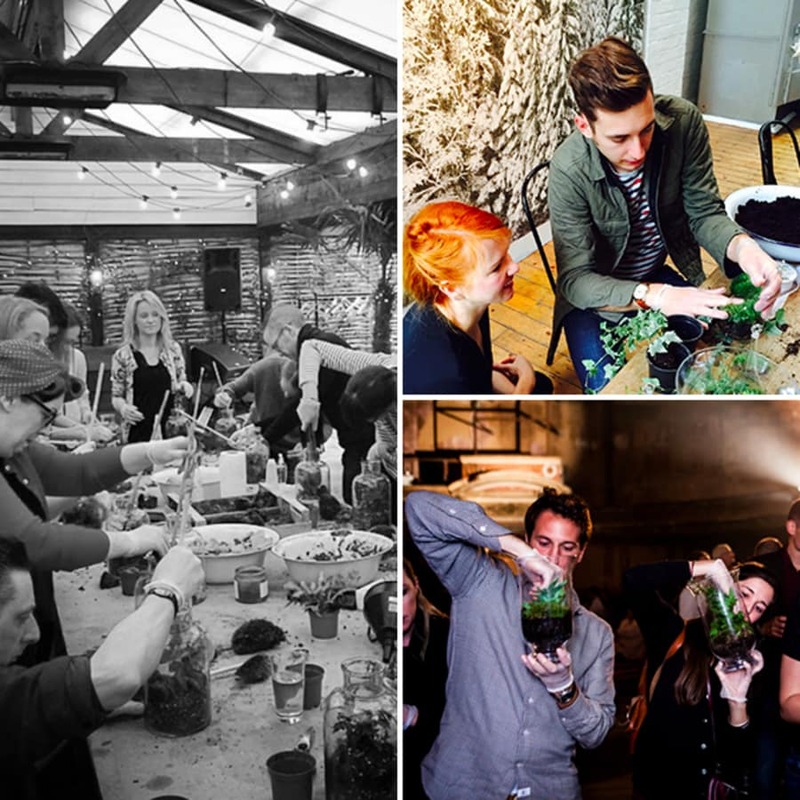 LOCATION & TIMES Group and private classes take place at my studio in Shoreditch. Group sessions take place once a month and last around 1.5 hours. 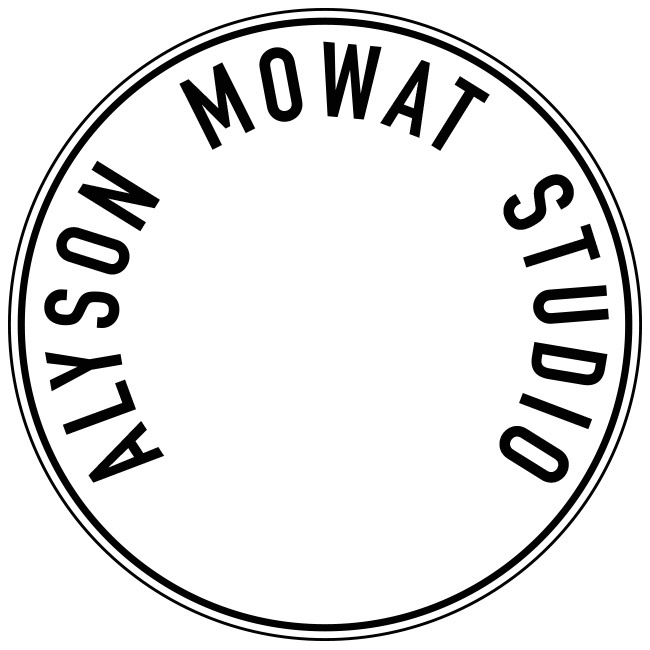 Book a private workshop, if you would like to run this class around your schedule. Wherever you are in the world, I can join you in the comfort of your own home for a virtual class. I will provide you with a shopping list beforehand and help you source everything you need for the class. Please get in touch for private bookings. I can cater for everything from small parties to large corporate events.